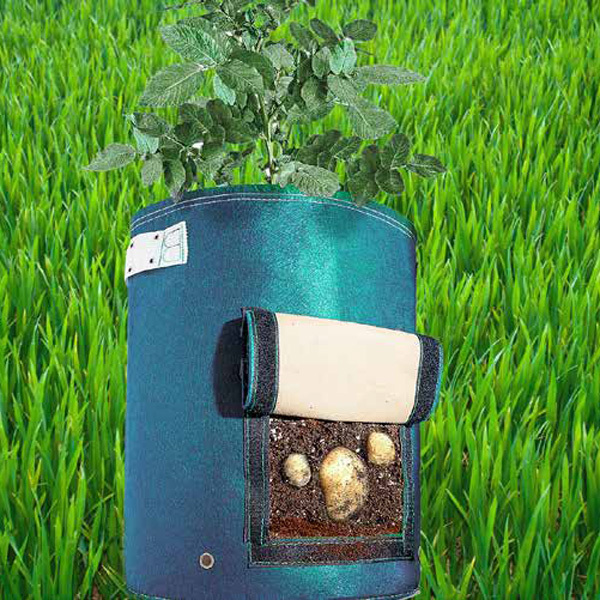 Ever want to grow some potatoes in your garden but don't feel like digging through your dirt to get the potatoes out once they're fully grown? 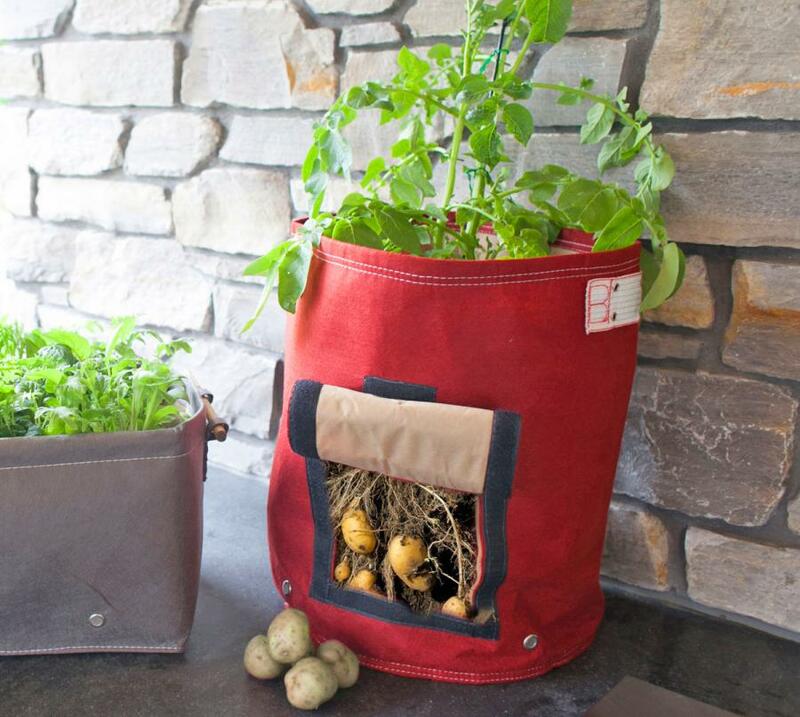 This potato planter allows you to plant potatoes into a fabric bag that has a Velcro flap on the bottom half of it that folds up to reveal your freshly grown potatoes for easy picking. 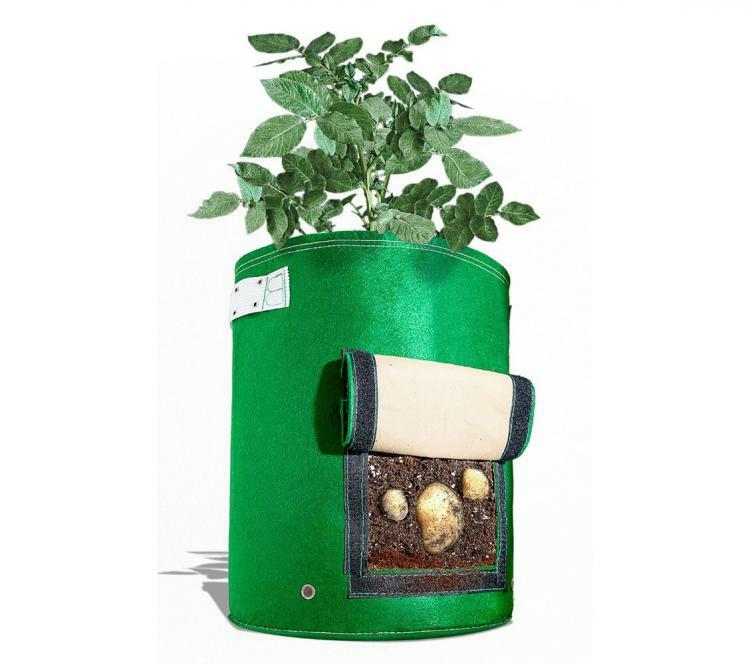 No longer will you need to get the dirt from your garden under your fingernails every time you need to harvest your potatoes, this container is made from double-layered fabric that promotes growth of the secondary roots of your potato plant. Plus, with this fabric potato planter you can grow potatoes right on your deck or patio without having to make a trip out to your garden each time you need to tend to it. 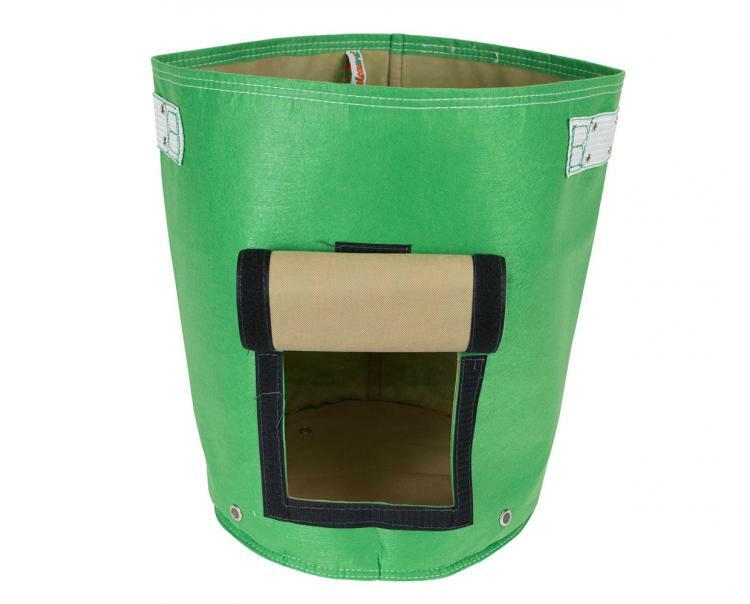 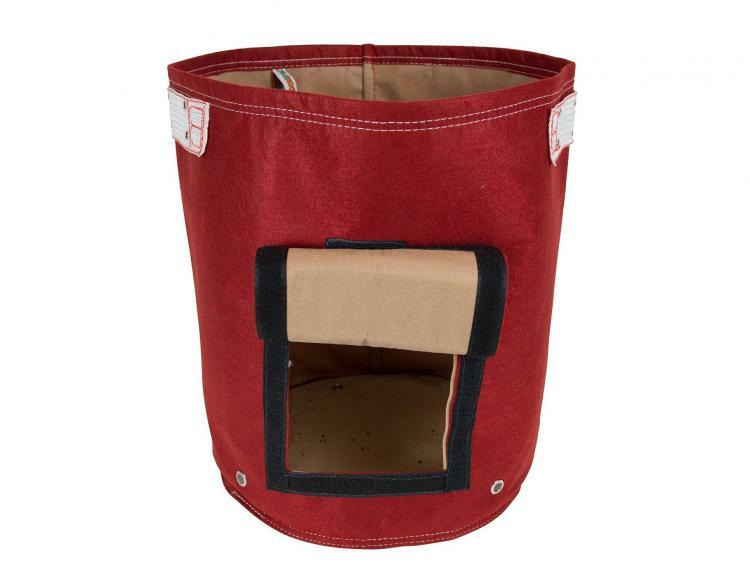 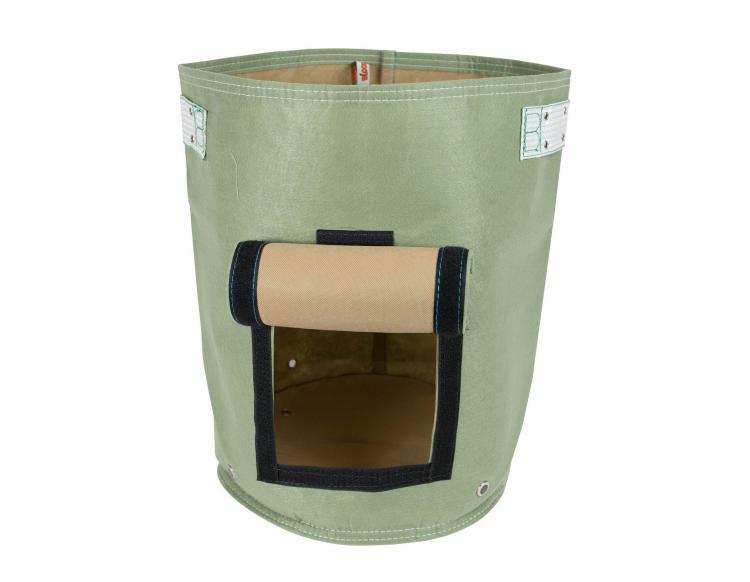 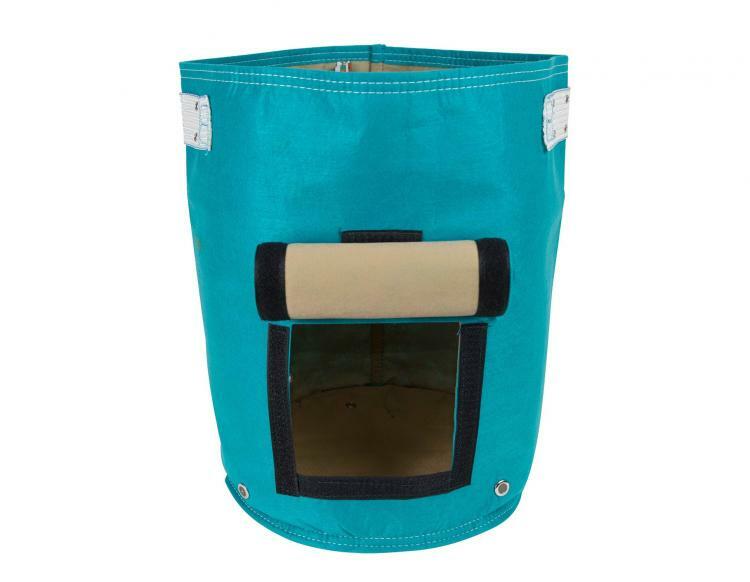 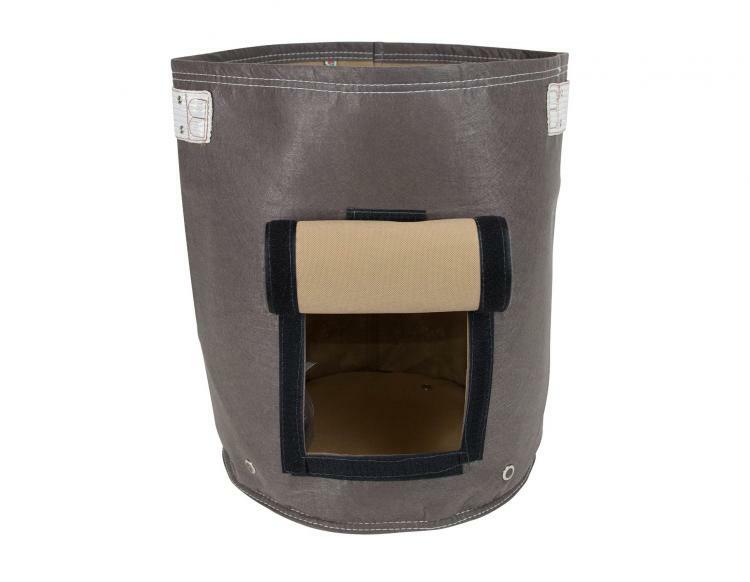 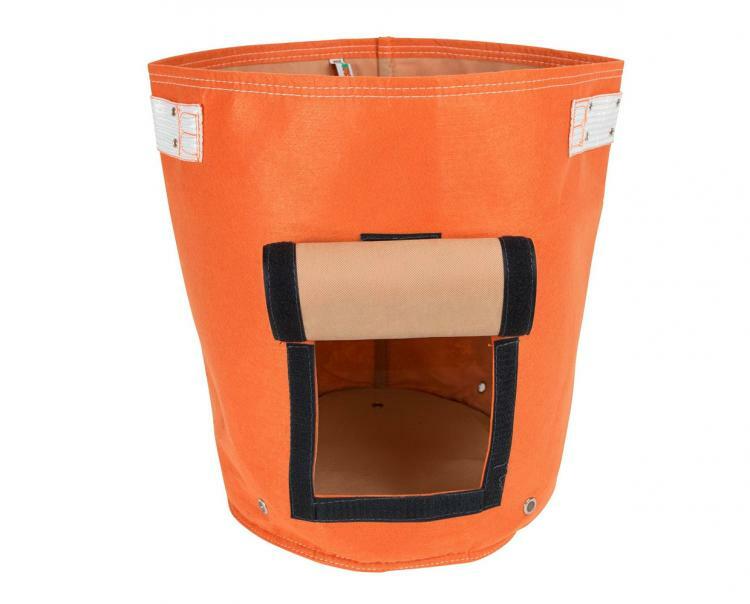 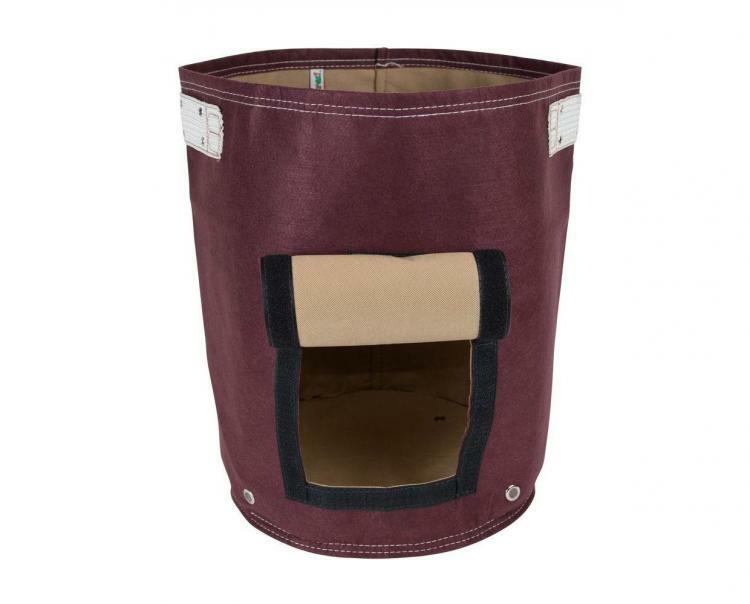 The BloemBagz fabric potato planter bag comes in a variety of different colors to choose from, has a capacity of 9 gallons, is made from 100% recyclable materials that have double-layered fabric that helps the plant breath and grow better with more oxygen flow, and measures 13.75 inches in diameter x 17.75 inches tall.